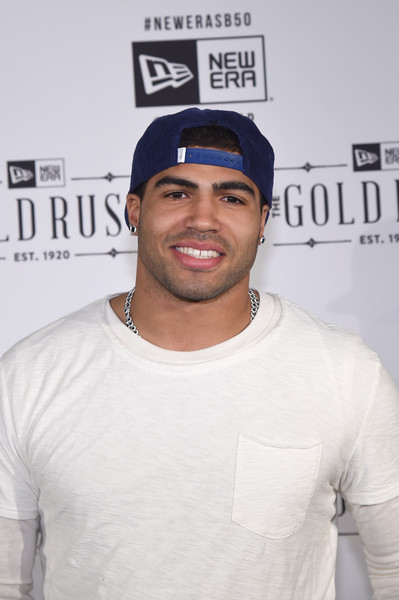 After trash talking his former Eagles teammates in the latest episode of "Hard Knocks," Mychal Kendricks is now the talk of the NFL...and well the Internet as well. Cleveland Browns linebacker Mychal Kendricks, who was traded from the Eagles in June, is apologizing today after he was charged with insider trading by federal prosecutors to make nearly $1.2 million in illegal profits on four major investments four years ago, according to ESPN. The Feds claim Sonoiki gave Kendricks information about upcoming mergers and acquisitions and Kendricks invested accordingly. Federal prosecutors said that Kendricks made $1.2 million via their arrangement. He reportedly gave Sonoiki $10,000 in cash and perks, including free Eagles tickets. Shortly after U.S. Attorney William McSwain announced the indictments, Kendricks issued a statement apologizing for his irresponsible actions and that he didn't know all the details, but he "knew it was wrong." "I would like to apologize," the 27-year-old NFL player said in the statement released via his attorneys. "Four years ago, I participated in insider trading, and I deeply regret it. I invested money with a former friend of mine who I thought I could trust and who I greatly admired. His background as a Harvard graduate and an employee of Goldman Sachs gave me a false sense of confidence." "To this point, I had worked my tail off since I was 5 years old to become a football player," he continued. "I was drawn in by the allure of being more than just a football player. While I didn't fully understand all of the details of the illegal trades, I knew it was wrong, and I wholeheartedly regret my actions." He also said he plans to repay all of the funds gained illegally, even though he "hasn't taken any personally." Apparently, Kendricks was giving Sonoiki free tickets to Eagles games and he also paid for a “a luxury car service to drive Sonoiki approximately 180 miles to attend a event in York, Pennsylvania." Kendricks also invited "Sonoiki to the set of pop star Teyana Taylor’s music video, in which Kendricks made a cameo appearance," according to the indictment.